Today is Jellybean's first birthday, so I thought I'd share a couple of things I found for her special day. 1. 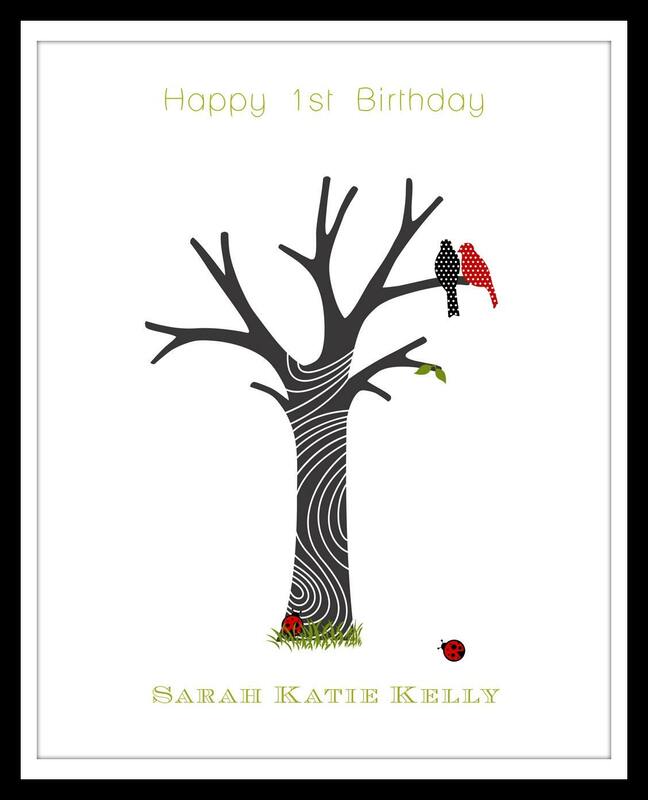 Child's First Birthday Signature and Fingerprint Tree 11 x 14 via Your Keepsake Co. This shop sells the cutest personalized items. I had already purchased my daughter's first Christmas ornament from here and then I fell in love this fingerprint tree. It's really lovely and such a sweet idea to fill the tree with the fingerprints and signatures of all of the people who love her. The shop owner was kind enough to change the font to one I liked more. I think it will look wonderful framed in her room. 2. 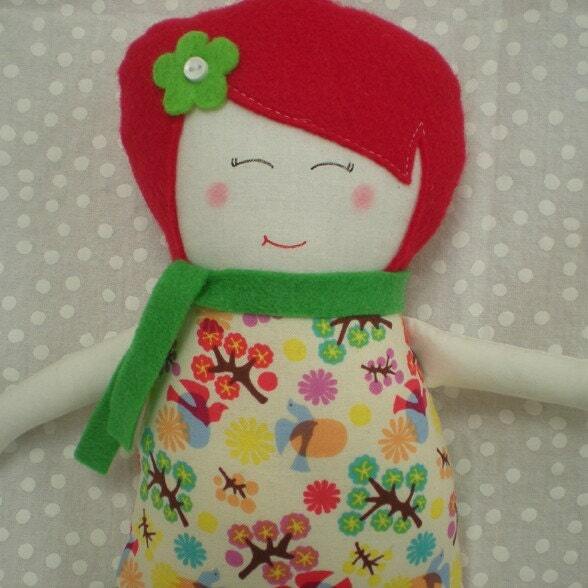 Sweet Red Headed Doll via Heart Felts. My daughter already owns two other dolls from Heart Felts (One is named Sunshine and the other is named Lolli, imagine that.) and I purchased two others besides for nieces. These are the most adorable dolls! She owns a blond and a brunette. Jellybean is a red head, so I had to get one that looked like her, right?